Shiraz Sunderji trained Between The Waters and Vinesh schooled Juno`s Quest were involved in a sensational dead-heat in the 1000 metres Racing Journalists Trophy, a race for horses rated 40 to 66, the feature event of the penultimate day`s racing of the long-winding Mumbai Racing Season on Saturday. 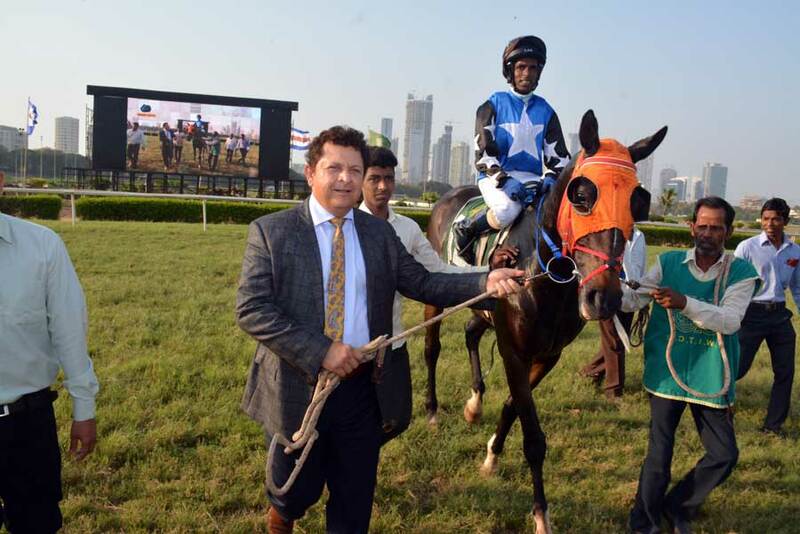 Trevor Patel was unable to extract that bit extra from the heavily backed Between The Waters while apprentice jockey Peter confirmed the status of being an emerging star while getting the lesser fancied Juno`s Quest to unleash a terrific burst of speed in the final stages of the race. The odds on Between The Waters shortened significantly close to race time resulting in the rest of the horses being quoted at nourishing odds. Rising Brave put up stiff resistance in front and by the time Trevor got the better of the front-runner close home on the favourite, Juno`s Quest emerged on the scene with a menacing run after working her way out of the trouble. The two went past the post locked together. It took an unusually long time for the Judge to announce the result. The photo-finish camera throws the result instantly and one was wondering why the judge took a long time unless of course, the camera failed, and he was called to exercise his judgement. Rising Brave weakened to finish third. 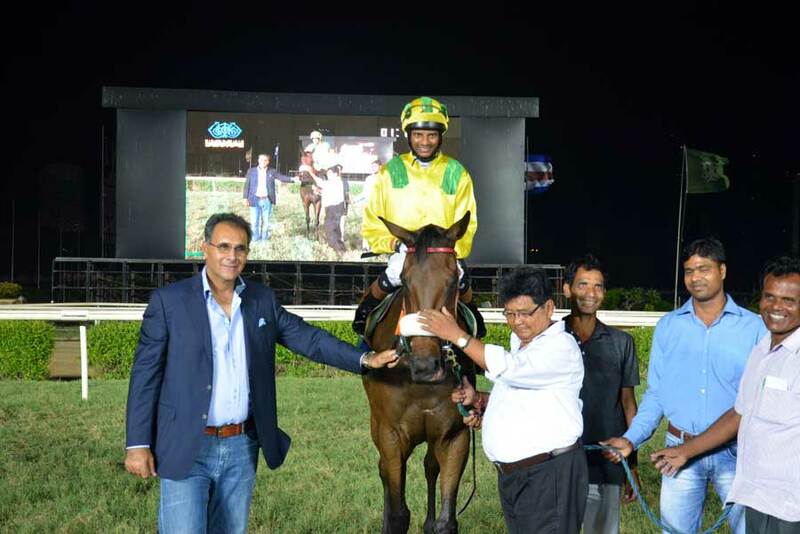 Jockey Sandesh who has emerged as the undisputed champion of the season, drove out Dallas Todywalla trained Golden Guest to a resolute win in the Daddy Adenwalla Trophy (Div I), a race for maiden three-year-olds. Sandesh had no hesitation in racing up front on the lesser fancied runner and skipped clear in the final furlong and easily staved off the bid of Cheetah. The heavily backed favourite Blaze and Switch ran a disappointing race and finished a poor third. 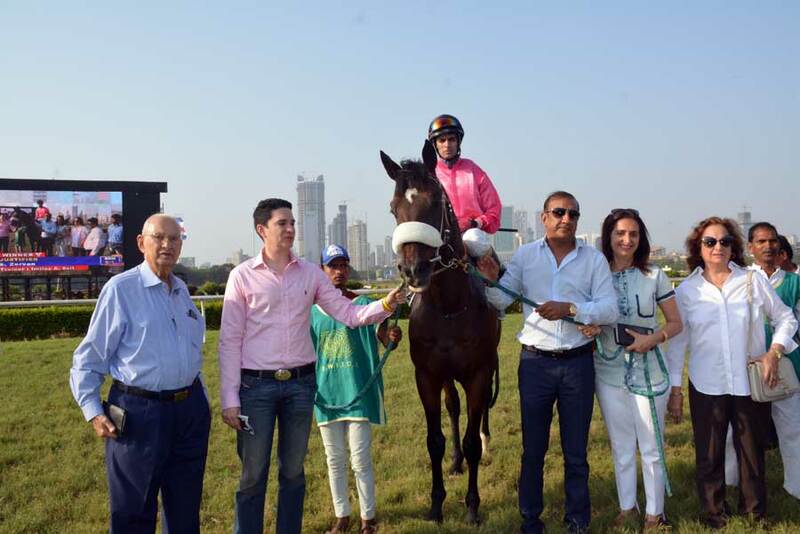 Pesi Shroff trained Rhapsody was lucky to make a winning debut in the upper division of the race. Rhapsody hit the front in the final furlong but was strongly challenged by The Monk. 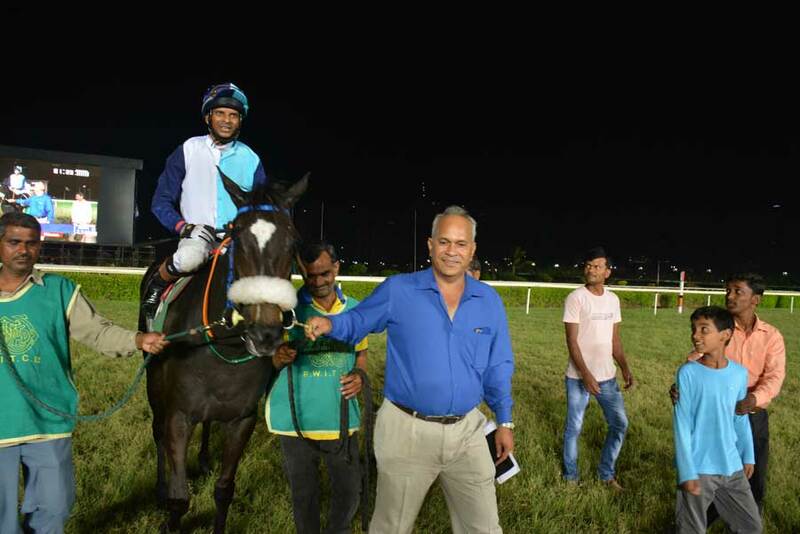 With better assistance than one given by jockey S J Sunil, Monk could have easily won but the jockey was unable to keep the horse on a straight course and the long shot drifted out badly. This enabled the favourite Rhapsody to prevail by a neck. The third-placed Speculator was more than six lengths behind the runner-up. 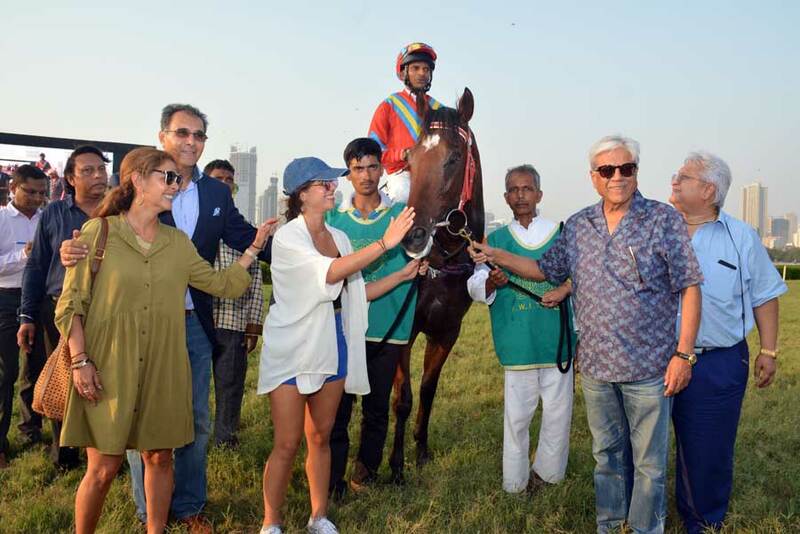 Lesser fancied runner from the stables of trainer Imtiaz Sait won the 1800 metres J Robinson Plate, a race for maiden three-year-olds. Dumas who had a useful lead going into the final furlong floundered close to home and Zervan was able to drive out Justified to measure the front-runner in the closing moments of the race. Favourite Conscience who is bred as a half-sister to multiple classic winning Adjudicate appeared to be hopelessly one paced and finished a tame third. Apprentice jockey A S Peter drove out Whoopsidaisy to stave off the strong challenge from favourite Master of Studies in the 1800 metres Regal Equity Plate, a race for horses rated 4 to 30. Whoopsidaisy was taken on a start to finish mission and though the long shot looked vulnerable when Master of Studies came up with a big effort, Peter kept his cool and got the Faisal Abbas trainee to hang on by a neck. Grand Eyes was third more than six lengths adrift. 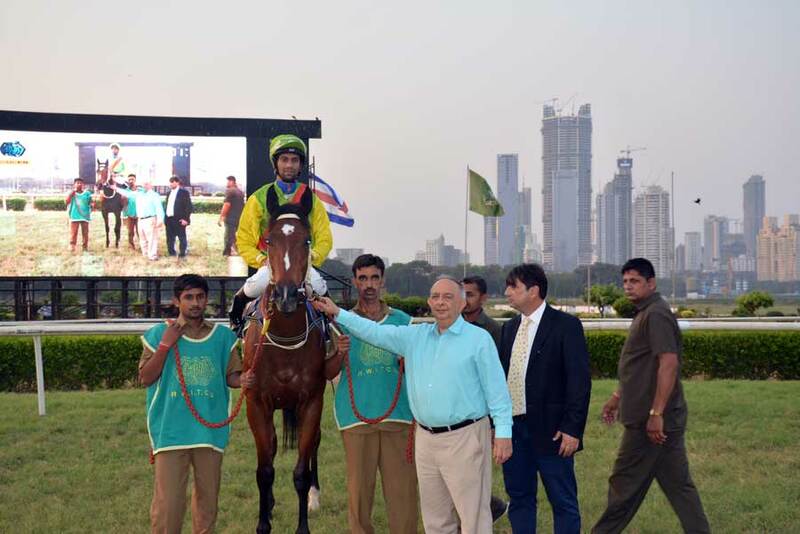 Sandesh had an armchair ride to victory on failed favourite Dance The Dream in the 1200 metres Jockeys Trophy, a race for horses rated 20 to 46. Dance The Dream proved immensely superior to the opposition by storming clear in the final furlong to win by a margin of over three lengths. Tasch was second while Cupido managed to keep the third place at the expense of last start winner Antarctica. 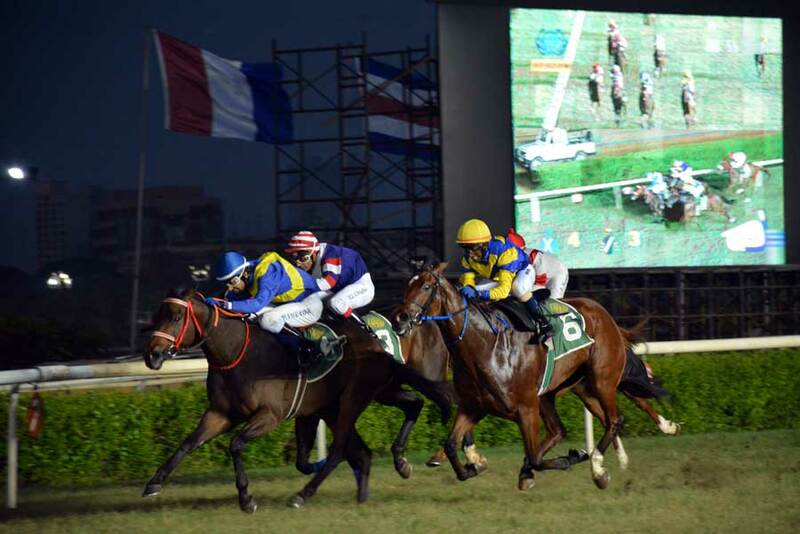 Rehanullah Khan trained Dazzling Star who had led down on a couple of occasions as a strong favourite appreciated the step up in the distance while winning in the hands of jockey Sandesh, the 1400 metres Ahu Plate, a race for horses rated 20 to 46. Dazzling Star who provided Sandesh with the third winner of the day was taken on a start to finish mission this time out and the fancied runner stayed put to thwart the challenge of Princess Eliza. The latter could have really made things hot for the winner but jockey Bhawani Singh who relied more on the whip allowed the horse to drift which put paid to the hopes of the favourite. Strong Storm necked out Classicus to save place money. Total Comments : 0 Be first to add comments to this article ! !